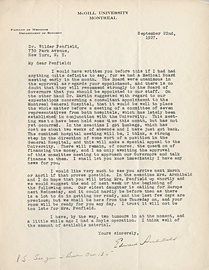 Letter from Edward Archibald to Wilder Penfield, September 22, 1927. 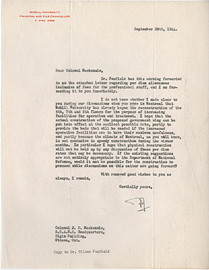 Letter from Edward Archibald to Wilder Penfield, September 27, 1934. 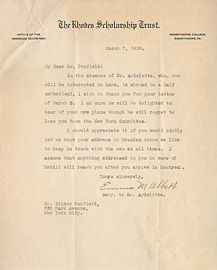 Letter from Emma M. Abbett (Secretary to Dr. Aydelotte) to Wilder Penfield, March 7, 1928. 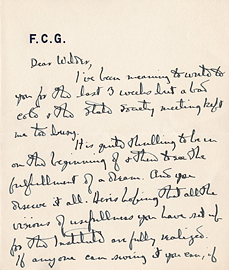 Letter from F.C.G. 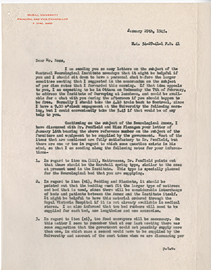 to Wilder Penfield. 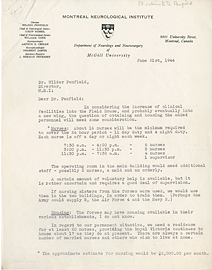 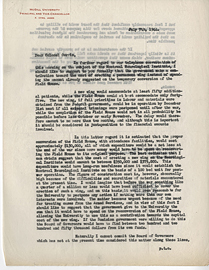 Letter from Francis Cooley Hall to Wilder Penfield, October 5, 1934. 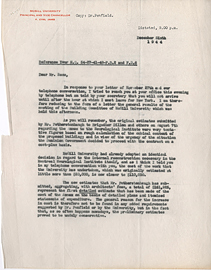 Letter from Frank Cyril James to Alexander Ross, December 6, 1944. 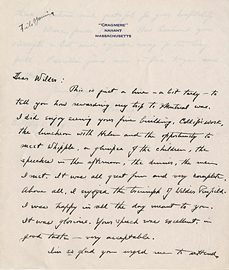 Letter from Frank Cyril James to Alexander Ross, Janurary 29, 1945. 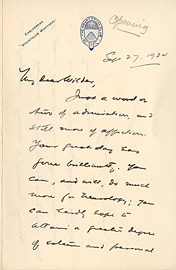 Letter from Frank Cyril James to George Currie, July 18, 1944. 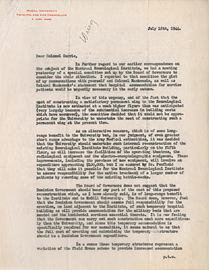 Letter from Frank Cyril James to George Currie, July 7, 1944. 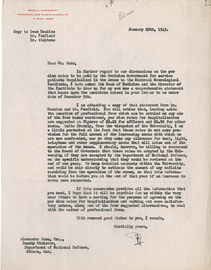 Letter from Frank Cyril James to J.C. Mackenzie, September 29, 1944. 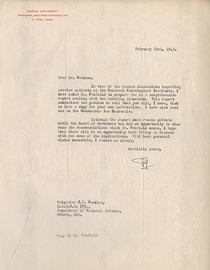 Letter from Frank Cyril James to Jonathan Campbell Meakins, February 22, 1943. 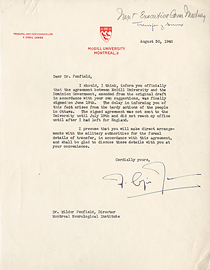 Letter from Frank Cyril James to Wilder Penfield, August 30, 1946. 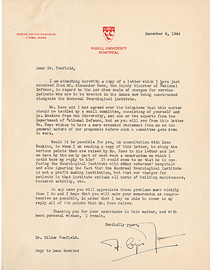 Letter from Frank Cyril James to Wilder Penfield, December 6, 1944.